Recently the Lord showed me a symbol that the early church had built directly into the architecture of their churches. It is a symbol that, I now believe, expressed the reality of our life union in Christ in a number of ways including the major patterns of biblical types. While searching for ancient examples I ran across the photo archive of Gertrude Bell, who took pictures of Middle Eastern architecture and people in the early 1900s (http://www.gerty.ncl.ac.uk/index.php). She was particularly interested in documenting ruins of church buildings, some having been desolate for over 1200 years. She coauthored a book called The Thousand And One Churches that documented her research. 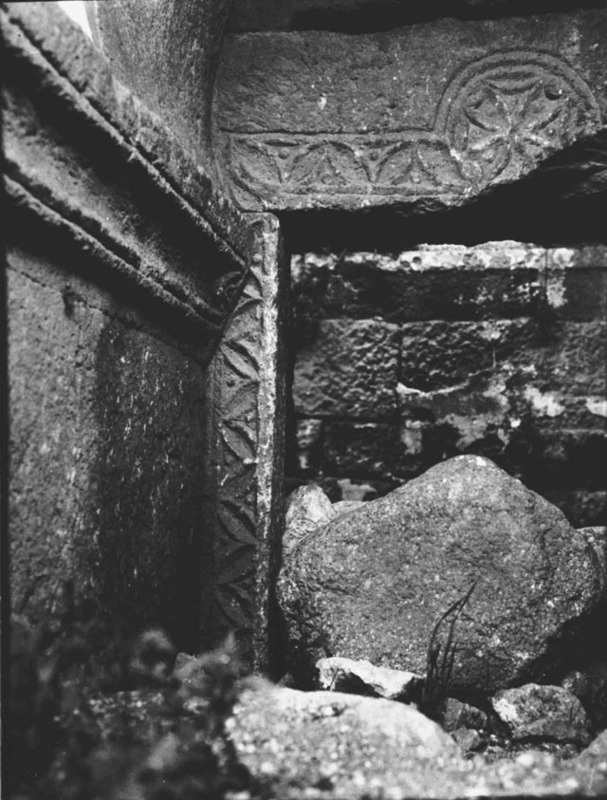 As I searched through the online archive I found many more examples of this symbol prominently placed at the center of lintels – that is the top piece of stone that spans over a doorway. 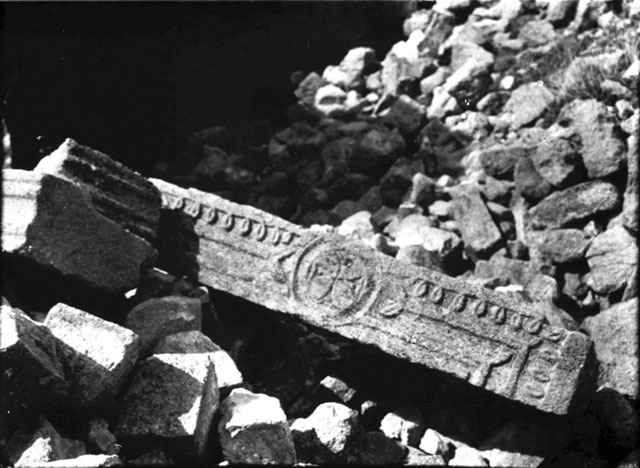 The main entrance of the church and major passageways would bear this emblem that did include a cross. But now, these pieces of carved stone were broken and lying in the earth like fragments of a forgotten tomb long emptied by thieves. Echoes of what Jesus said to Sardis came to mind, “You have a name for being alive, but you are dead” (Rev. 3:1). The contrast of this symbol of life crumbling at the base of forsaken church buildings couldn’t be clearer. On one hand the carved medallion represents evidence that the inward working Name of God had once upon a time made an impression upon many hearts. But on the other hand it is clear that God Himself allowed these stone churches to be flung to the ground along with their homage to life prominently etched into the lintels. Over the weeks, these black and white images of the ruins began to haunt me. You could say that the Spirit was “impressing” another lesson into my soul about the authentic life we have in Christ. He said that they had the Name and they knew the Way represented by the medallion but in time and subsequent generations the truth had become a decoration mixed with other architectural patterns and community expressions. In other words, what represented the metamorphosis from death to life had become a brand for something less. Anything less than life is…death. Immediately, my thoughts turned to the American church I had experienced since 1970 when I first met Jesus at an altar call. Are we in a similar situation where generations ago people knew Christ in a living way as Savior to where now you can just say a prayer to get salvation and become a better person? Is Jesus “objectified” as a distant vendor of grace rather than the Person we can know working gracefully within? I hope you see the distinction between Christianity as a way of life and Jesus’ unstoppable, death conquering, ever-growing, and abundant life active now and forever. “One thing is necessary,” Jesus said as Mary listened intently to His every word. “Mary has chosen the good portion, which will not be taken from her.” (Adapted from ESV Luke 10:42). Like Mary’s sister, Martha, we can get so involved in church programs and business that we miss Jesus, our Life (Col. 3:3). That was the nice way of saying it; but in fact, anything less than the living Jesus is as dead as some carving etched in stone. Cameron Fultz is a friend and author of The Jesus Pictures. Read an excerpt here.